The 2018 Policy Forum, "Achieving Policy Impact in a Transformed Political Landscape," features speakers from a broad spectrum of industry and government as well as robust opportunities for audience engagement. 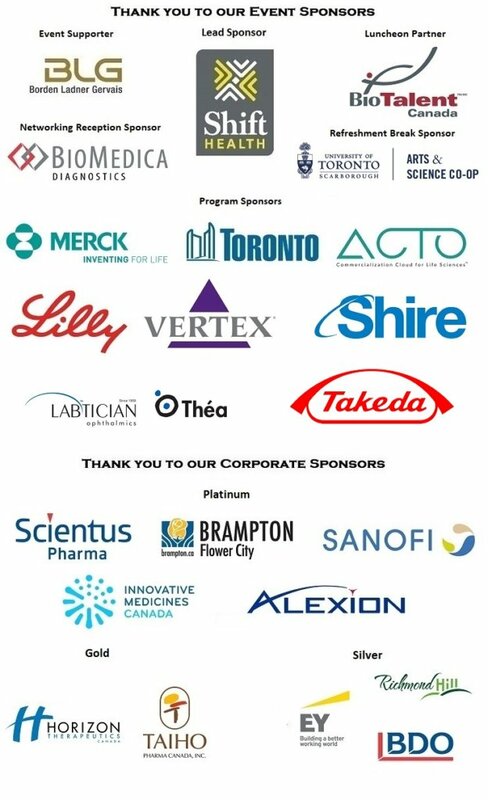 Life sciences remains Ontario’s greatest untapped opportunity for economic growth and social prosperity. How we approach life sciences policy in the coming months and years will have a profound, long-term impact on our province and Canada as a whole. With a new government in place, what is emerging in terms of policy directions and priorities for our life sciences sector? How can we work together and build bridges to accelerate our success? In this hour-long session, we’ll be interacting with members of our audience directly to solicit their views on key policy challenges and define topics for further discussion. The session will include structured discussion with facilitators present at each table, and will conclude with live audience polling. Our Fireside Chat will delve into the results from our audience polling session. What are the primary issues we should focus on going forward? How can government and the private sector play an active role in this transformation? Health innovation is an integral component of our success and sustainability as a province and a nation. However, we are failing to capitalize on our investments within this sector and deliver these innovations to patients. With so many stakeholders involved – including innovators, regulators, purchasers, and insurers – how do we work together to balance cost and access to innovations? As key policies are being developed regarding drug pricing and national Pharmacare, how will access to innovations potentially be impacted? Moderated by: Wayne Critchley, Senior Associate with Global Public Affairs; Chair of the Board, Canadian Organization for Rare Disorders. Ontario’s life sciences sector is rapidly becoming known for its incredible innovations. But too often, we are losing our most promising companies to acquisition outside our borders. How can we amplify our competitiveness as a destination for global capital, while growing and scaling our companies here at home? What steps must both government and the private sector take to anchor our foothold within the global innovation marketplace? This session will feature a presentation of the recommendations from the Health and Biosciences Economic Strategy Table. Ella Korets-Smith, CEO, TO Health! Helen Stevenson, Founder & CEO, Reformulary Group Inc.
Jennifer Chan, Vice-President, Policy and External Affairs, Merck Canada Inc.
Steve Romanyshyn, President & CEO, Ontario Venture Capital Growth Corp.
Wayne Critchley, Senior Associate with Global Public Affairs; Chair of the Board, Canadian Organization for Rare Disorders.